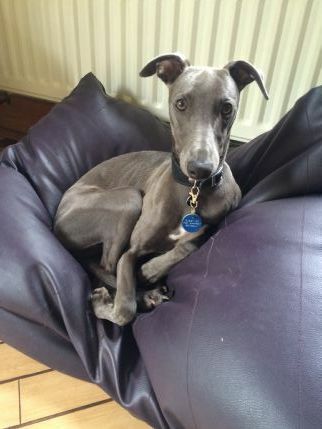 My name is Judith and I have loved Whippets for as long as I can remember. 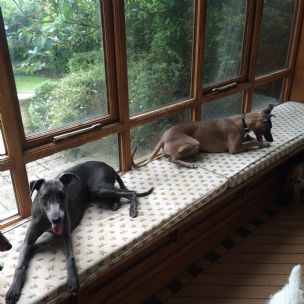 Our resident Whippet, Sid, is always happy to welcome new playmates into our home and show them the ropes - i.e. which sofa is the squishiest and whether clockwise or anti-clockwise zoomies are the best (still under consideration!). We are fully licensed and insured. Our guests become one of the family during their stay and nowhere is out of bounds. There are loads of comfy spots for snoozing, the window seat in the kitchen being a favourite, together with plenty of beds scattered around. 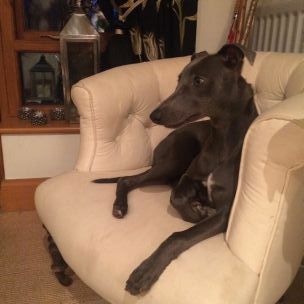 The sofas are rarely whippet free and laps are always available. 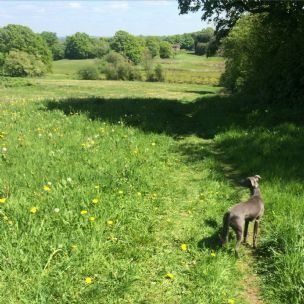 We are fortunate to live in beautiful countryside where we walk our guests (on leads) twice a day (unless it is throwing it down and they refuse point blank to step outside!). 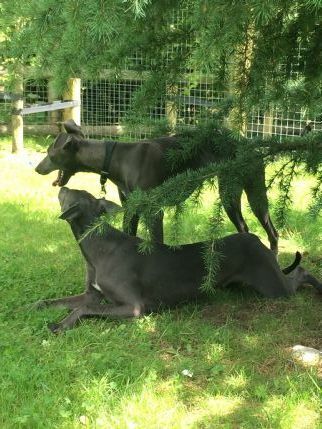 There is a Whippet proof garden with plenty of space for zoomies and other whippety goings-on. All dogs must have up-to-date vaccination certificates. We are able to give any medication necessary. We are unable to take un-neutered adult dogs. Wonderful walks. You'll know when you've arrived. 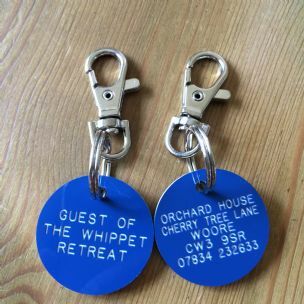 All our guest wear one of our tags - very stylish we feel. 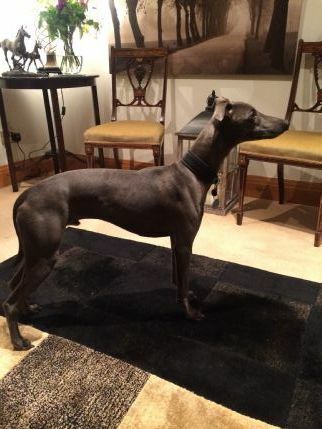 Sid, our resident Whippet. The window seat. Always very popular. Squirrel watch. Lots of beds to choose from (or bring your own, like Parker). Plenty of room for posing! Sofa heaven. Whippets take their pick, humans get what's left. 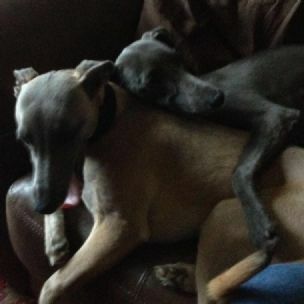 Cuddles galore, both whippety and human. Cooling off after some serious zoomies in the Whippet proof garden. IT lessons an option, at no extra cost. My girls are not used to being left but I felt very confident they would be looked after superbly in this lovely location. 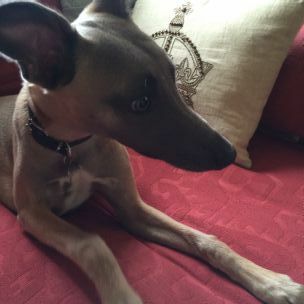 There is a big garden, Sid the bounciest whippet I've ever met and lots of soft, warm snuggly corners. 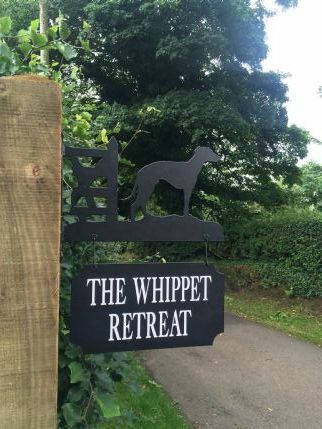 Judith was very welcoming and I would have no hesitation in recommending the whippet retreat to anyone who wants a five star experience for their pets. We are situated on the Cheshire/Shropshire/Staffordshire border, 15 minutes from Crewe railway station, within 20 minutes of the M6 motorway (Junction 15 South and Junction 16 North) and within 45 minutes of Manchester International Airport. 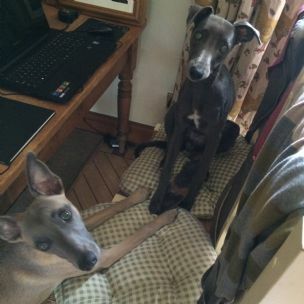 Ring any time to make an appointment to visit or to book your Whippet in. 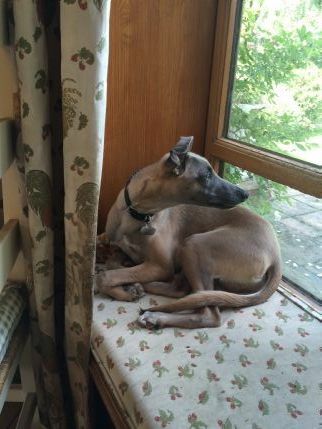 Leave a voicemail if necessary (I'll only be out walking Sid - our resident Whippet - and any guests).